altering psychoactive effects of cannabis with THC (tetrahydrocannabinol). THC is the mind-altering, euphoric component of marijuana that gives you the “high” feeling. The treatment for diseases like cancer, epilepsy and other chronic disorders require a higher dose of CBD oil in tincture form, and it’s imperative to seek out products that are regulated and distributed by a reputable practitioner that is experienced with understanding a patient’s disease or disorder. Center Pharmacy specializes in providing their patients with the highest-quality of CBD that is pharmaceutical grade, manufactured in the U.S.A., certified to prove potency; and it’s also grown, packaged and distributed under the most comprehensive quality control. The brand is called Ananda Professional, which is a pharmaceutical grade line of full spectrum Hemp CBD that the company created specifically for doctors and pharmacists. Our brain and nerve cells have cannabinoid receptors, so our bodies naturally react to cannabis (full spectrum hemp CBD/medical marijuana). The structure of cannabis interacts directly with our cells. Our natural endocannabinoid system works synergistically with CBD, creating a multitude of beneficial reactions in the body. The endocannabinoid cells have tiny receptors that take in chemicals and produce responses. This natural system in our bodies regulates things like mood, sleep, immunity, pleasure, memory and much more. CBD or cannabinoids can treat many different forms of diseases and disorders with little THC. CBD is not the only cannabinoid found in cannabis; in fact, over 100 cannabinoids have been discovered so far. The full spectrum hemp contains CBD along with many other cannabinoids that have been used for centuries by many cultures for medicinal purposes. 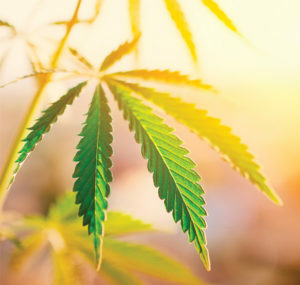 CBD oil is an excellent alternative for patients that would benefit from cannabinoids alone, while other more complex medical cases may require the additional advantages of THC combined with CBD in the marijuana plant. Almost everyone can benefit from CBD. CBD is an all-natural product that helps maintain overall health. Research on the potential health benefits of CBD oil is ongoing, so new therapeutic uses for this natural remedy are still being discovered. They are a small, private pharmacy that has a vision. Once you tell them your name, they’ll remember it. If you have special needs, they will do their very best to accommodate you promptly. Their customers are friends, and they want you to rely on them. Bring in your kids so they can say hello. And Fido, too. They pledge unmatched service, and smiles, every time. The bottom line for you: On average, their prices are better than the big guys and their service is beyond compare. All you have to do is call them and they’ll take care of the rest. To learn more about CBD, or to speak to a pharmacist about your health concerns, please contact Center Pharmacy today at (239) 772-8866.